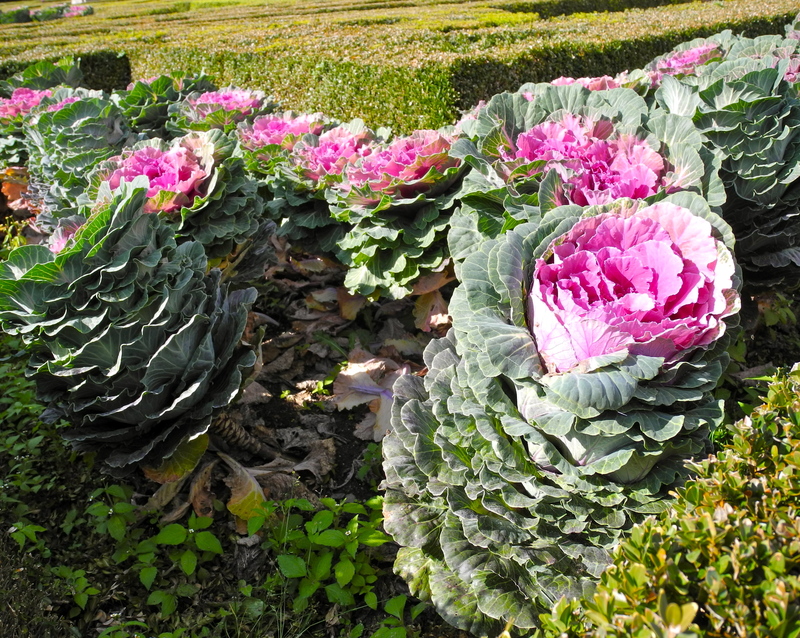 The grounds and buildings at Dobris Castle are held in high esteem for being prime examples of Rococo architectural and garden styles, with swirling curving decorative designs that extend to the ornamental cabbages decked out in complementary colors of green and pink. 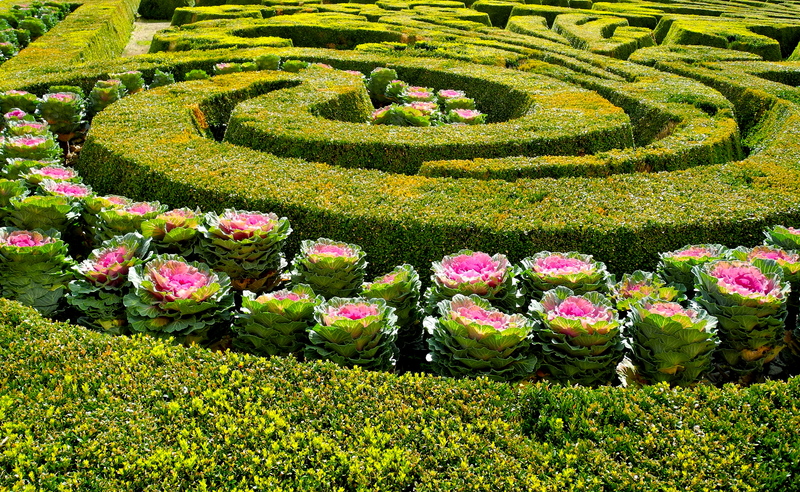 Gardeners have been working there, meticulously maintaining elegant design since the mid-1700’s. No matter the manpower, one or two or a few inches of the estate must be able escape tending, so my dear friends the weeds have founded a settlement in the shade between cabbage and hedge. Their weed commune has a good chance of thriving unnoticed, because most folk look up and out at the highly elaborate setting, dotted by romantic statues and curlicues of green. So they do not see what thrives on the outskirts of design. These creeping, low lying weeds pride themselves on “living on the edge”. Perhaps they are immature neophytes plotting the overthrow of the cultured structured garden, their buds filled with foolish thoughts of toppling the regime of carefully maintained and staffed order with their chaotic wild existence. Perhaps they are romantics, poets who prefer the shadows to the spotlight and are content to weave stories of winding roads and paths gone wild. Perhaps they are opportunists, snaring whatever advantage they can set roots down into. Whatever their true nature, these weeds are skillfully secretive, and their goals remain hidden. Of all those who sigh at beauty, I for one am glad the weeds grow protected in their wildness, for they benefit from the daily care and feeding of the structured garden that is their shelter. Do they know that? Please, shush, let us not tell them of their privilege. Let them cling to their illusion of their wild, “life on the edge”, and thrive. If they could not thrive here, where would they go? This is the grand view that is presented to the public for maximum appreciation of the garden. The visitors must exclaim,”What perfection!” (wink wink!) My weeds and I know that “perfection” becomes even better with just a touch of wild! I want to go back to Prague to see these gardens now. …. Aina, Have you been to Prague? I’d love to hear stories!! !